Southeast Texas is a great place for vegetable gardening because of two long gardening seasons, spring and fall. However, the heat and humidity prevalent in the area make a favorable environment for a host of plant diseases and insects. 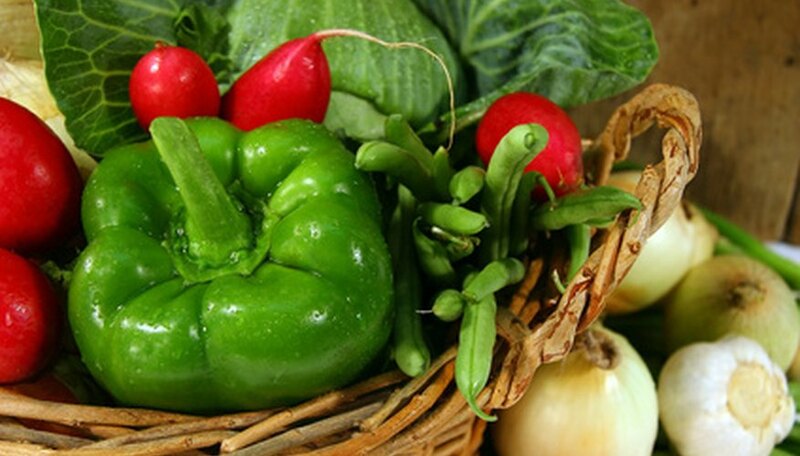 Texas A & M University (TAMU) has compiled a list of vegetable seed suggestions that are suitable for planting in Southeast Texas, a part of Texas that includes Jefferson and Hardin Counties. Beets can be grown from fall to early spring in Southeast Texas. The green tops are used as greens and the bulbous root is delicious cooked, sliced or eaten raw. The seed varieties of beets recommended for Southeast Texas by TAMU are: Detroit Dark Red, Pacemaker, Red Ace, Red Cloud and Warrior. Cucumbers are a warm weather crop and are not tolerant of frost. It is best to allow cucumber vines to grow attached to a trellis to keep the fruit off the ground. This prevents the fruit from rotting and keeps it out of reach of some insect pests. Two types of cucumbers are grown. One kind is for canning or pickling and produces a small fruit that is harvested early, and the other is called a slicing type that does not taste bitter when it gets larger. The types of pickling cucumbers recommended by TAMU are Carolina, Multipik, Fancypak and National Pickling. The types of slicing cucumbers recommended by TAMU are Poinsett, Sweet Slice, Sweet Success and Straight 8. Peppers are a popular garden crop and the hot Texas sun seems to enhance the taste of many pepper varieties. Mild peppers, such as bell peppers, are considered sweet peppers and other peppers have a substance in them called capsaicin that causes them to have a hot taste. They are known as hot peppers and TAMU recommended varieties of hot peppers to plant are Jalapeno, Hidalgo Serrano, Hungarian Wax, TAM mild jalapeno and Long Red Cayenne. Sweet pepper varieties of seed to plant that TAMU recommends are Bell Tower, Keystone Resistant Giant, Yolo Wonder, California Wonder and Shamrock. Okra is another warm season crop that thrives in hot weather. It grows best if planted in the spring when the weather gets above 85 degrees F during the day. Also, okra produces better crops if the day length is lengthening during the growing process rather than getting shorter, such as in the fall. If planting in the fall, plant as early as August to take advantage of longest day length possible. Two types of Okra seed are recommended by TAMU: tall heirloom types such as Stewart's Zeebest, Burgundy and Velvet, and the popular shrub types or compact types, such as Annie Oakley, Blondy, Cajun Delight, Clemson Spineless, Emerald, Green Best, Lee, Prelude, and Louisiana Green. What are the Best Vegetables to Grow in the State of Oregon? What Types of Vegetables Grow Above 3,000 Feet Elevation?